Move aside, Kinect is here. I cannot resist the temptation of the new Xbox 360 KINECT. 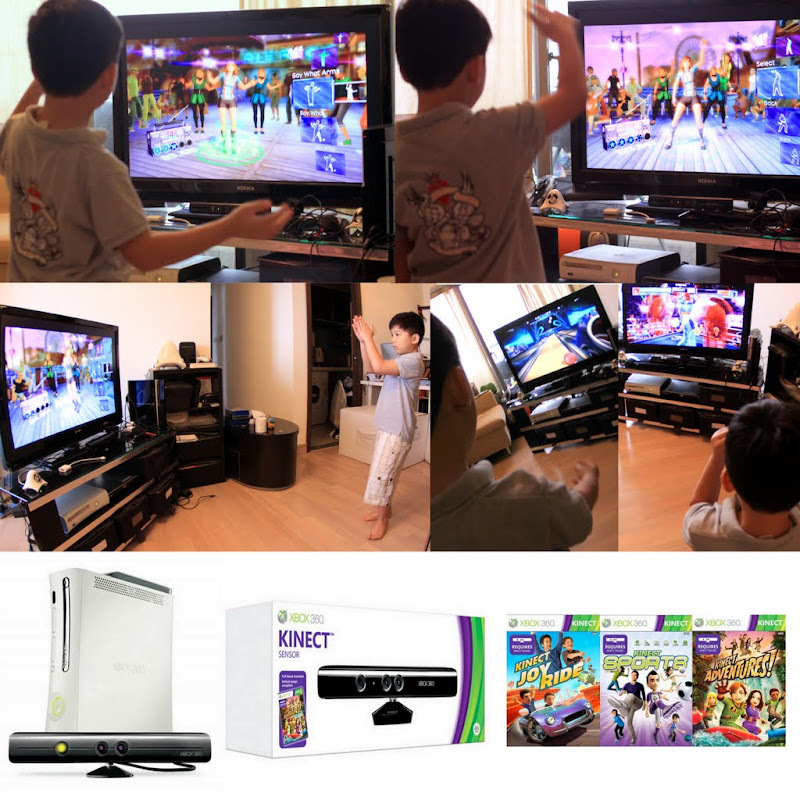 In less than 4 weeks after the launch of PlayStation 3 “MOVE”, Xbox Kinect is on its way to dominate the gaming industry with the world’s first “controller-free gesture gaming” experience! When I first watched the Kinect commercial (aka “Project Natal”) on Youtube last year, I was skeptical about its promises. It looked “too-good-to-be-true”. Gesture gaming without any controller – that just sound so far fetched and unreal. Being the infamous gadget freak of the group, I decided to take a leap of faith and bought Kinect last night. (I was really unsure about this purchase but I must really try it and live to “tell the experience”!) The verdict? Kinect delivers its promises! THIS IS THE BEST MOTION GAMING EXPERIENCE EVER! This is Minority Report Gaming! Setting up the camera (to the existing console) is a breeze. (I have the 1st generation Xbox 360 and the connection works perfectly!) The Kinect Camera is certainly more high-tech than the PS3 Move Camera. Throughout the game-play, the camera automatically adjust its height and angle to detect the player’s presence. Unlike the PS3 Move which detects only the “light-bulb”, the Kinect Camera detects more points on the player’s body (head, hand, elbow, knee, feet, waist). This allows more actions and fun in the game-play. For example, we have to lift our knees high at rapid speed in order to run fast in a race. It is indeed a different gaming experience compared to Wii and Move. To enjoy the perfect game experience, make sure you have at least 3m space in front of the TV. 2010 is indeed the breakthrough year for personal entertainment devices! From Apple iPAD/iPhone 4 to PS3 Move and now to Xbox Kinect! Clearly, Kinect is the big winner in this category. Move and Wii have lots to catch up. If you are thinking about buying one of these wireless gesture gaming devices this Christmas, you can’t be wrong choosing Kinect.